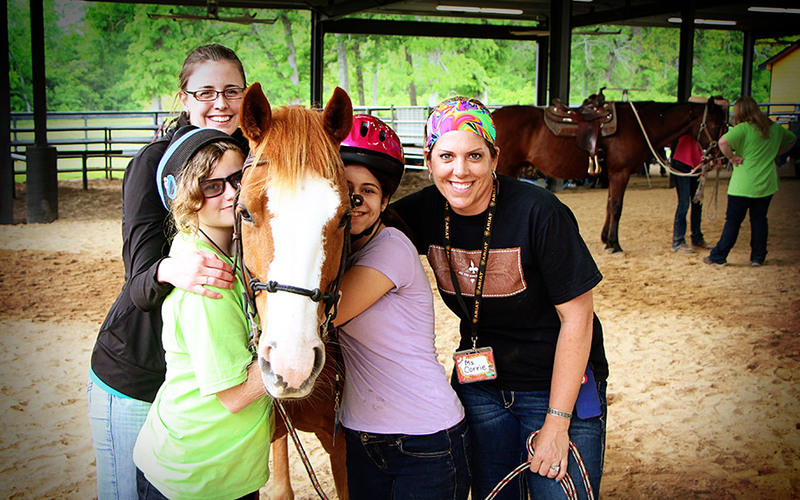 ATKH programs teach valuable Life Skills, share God’s love for people, and mentor youth through horsemanship that fosters healing and personal growth. This is made possible by the support of individuals, organizations, and businesses that partner with us to make a difference in the lives of youth. Some ATKH programs are open to the General Public while others are only open to youth who have been referred by area professionals because of the difficult circumstances the youth are facing. ATKH is a 501c3 public charity that has served Montgomery Co and surrounding areas since 2007. ATKH Founders Linda and Dennis Driesbach work alongside volunteers who staff the outreach. Together they continue to encourage youth today.